HUMBOLDT STATE – A 19-year-old Humboldt State University freshman is in custody in the Humboldt County Correctional Facility for multiple counts of allegedly burglarizing the university’s Housing offices during a four-week period in April and May. Merced County Sheriff’s deputies arrested Teodore Torres, Jr., on Sunday July 10, when Torres was stopped in a vehicle for an alleged mechanical violation. He was taken into custody on a felony warrant obtained in early June by University Police investigators. The arrest was made without incident. Torres was the second of the two suspects believed responsible for the crimes. 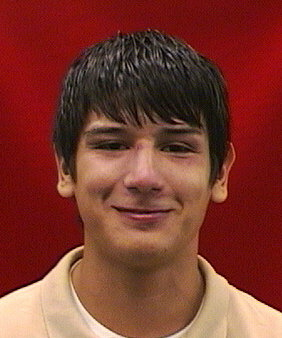 University police officers took Justin Marshall Prina into custody in early June near his on-campus residence hall. He remains in custody in the Humboldt County Jail. Authorities believe Torres had been staying with friends in the Merced area since he left Humboldt State at the end of the spring semester. HSU police had not been able to locate and apprehend him. His arrest warrant was placed in state and national law enforcement databases to increase the likelihood of apprehension. University Police Chief Thomas Dewey said the arrest warrant was important to returning the suspect to Humboldt County. “Torres was aware of the criminal charges, but there was no guarantee he would return to Humboldt County to be arraigned,” Dewey said. Torres was transported to Humboldt County Wednesday evening. Humboldt State University Police Acting Sergeant Melissa Hansen met Torres at the jail and interviewed him there. University officials issued an advisory letter to 772 students when the burglaries were discovered. To date no one has contacted HSU to report any evidence of identity theft related to the crimes. This entry was posted on Thursday, July 14th, 2011 at 5:05 pm	and is filed under News. You can follow any responses to this entry through the RSS 2.0 feed.